Roger Stone, a former adviser to Donald Trump, arrives at the Capitol for an appearance before the House Intelligence Committee on Tuesday, Sept. 26, 2017. The committee is investigating alleged Russian interference in the 2016 U.S. presidential election. Longtime Donald Trump associate Roger Stone said Tuesday he's "aware of no evidence whatsoever" that Trump's campaign coordinated with Russians during the 2016 election. Stone spoke to the House intelligence committee for more than three hours as part of the panel's probe into Russian interference in the election. Afterward, he told reporters that the majority of lawmakers' questions focused on his communications with Guccifer 2.0, the unnamed hacker who has taken credit for breaking into Democratic National Committee email servers. He said questions also focused on communications he had through an intermediary with WikiLeaks founder Julian Assange. Stone has long denied that he worked with Russian officials to influence the presidential election. 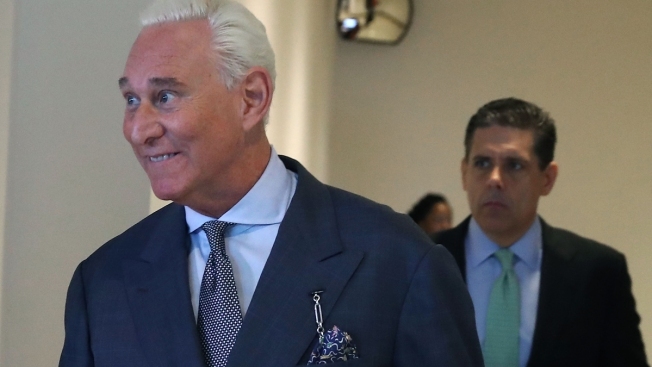 In a lengthy and combative statement released Monday night ahead of the interview, Stone said "there is one 'trick' that is not in my bag and that is treason." Stone, a Republican strategist who has known Trump for many years and informally advised him during the 2016 campaign, has denied that he had advance knowledge of the leak of former Clinton Campaign chairman John Podesta's emails and says he never colluded with Assange, who released Podesta's emails on his website. 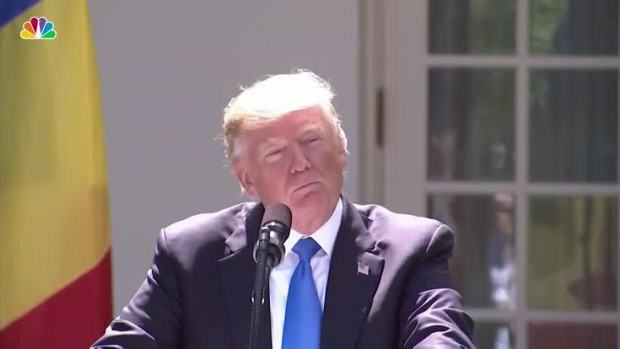 At a news conference with the president of Romania, President Donald Trump addressed his morning tweet about feeling “vindicated” after James Comey’s testimony in front of the Senate intelligence committee. "While some may label me a dirty trickster, the members of this committee could not point to any tactic that is outside the accepted norms of what political strategists and consultants do today. I do not engage in any illegal activities on behalf of my clients or the causes in which I support," he wrote in the statement. He also released a series of supporting documents Monday evening, including direct messages he exchanged with Guccifer that he calls "innocuous." The direct messages on Twitter, exchanged over a monthlong period, show Stone first congratulating Guccifer for being reinstated on Twitter after he was kicked off, and asking that the account retweet a tweet about how the election could be rigged against Trump. Guccifer writes, "I'm pleased to say that u r great man .... please tell me if I can help u anyhow." Stone doesn't respond again until several weeks later, when Guccifer asks him about an article on a Democratic turnout model. Stone replies "pretty standard." On WikiLeaks, Stone said he was kept apprised of Assange's plans to release the Podesta emails by a journalist he said served as an "intermediary." He said after the interview that he wouldn't release the name of the journalist, and that was the one question he wouldn't answer in the interview. He said he didn't want to reveal the source of that information because it was "off the record." 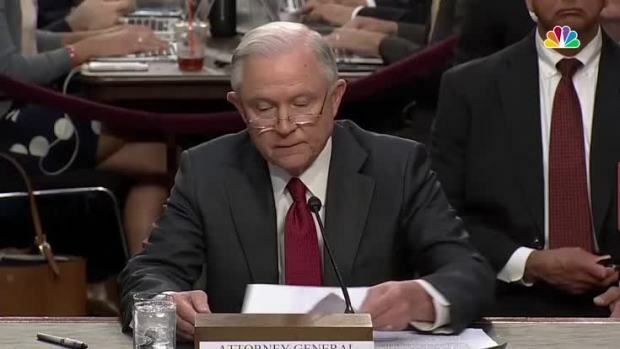 Attorney General Jeff Sessions, testifying before the Senate intelligence committee on June 13, 2017, denied involvement with Russian politicians or officials. He called such allegations "an appalling, detestable lie." Speaking to reporters after Stone, California Rep. Adam Schiff, the top Democrat on the panel, said there was "one area" where Stone refused to cooperate and the committee may have to subpoena him. He didn't say what area that was. Stone has been heavily critical of Schiff ever since the Democrat suggested in March that Stone had a direct line to Russian hackers based on Stone's August 2016 tweet "it will soon be the Podesta's time in the barrel." Several weeks later, Assange released Podesta's hacked emails. Stone said in the statement that tweet had nothing to do with the release of emails, but was out of frustration after Podesta's counterpart on the Trump campaign, former Trump campaign chairman Paul Manafort, resigned. It's unclear if Stone will be called to Capitol Hill again. He said he'd had minimal contact with the Senate intelligence committee, which is also investigating the Russian meddling. He also said that he has had no contact with Special Counsel Robert Mueller, who is also conducting an investigation. The House panel will also interview former Trump staffer Boris Epshteyn this week, according to a source familiar with the interview. The person declined to be named because the panel's meetings are private. 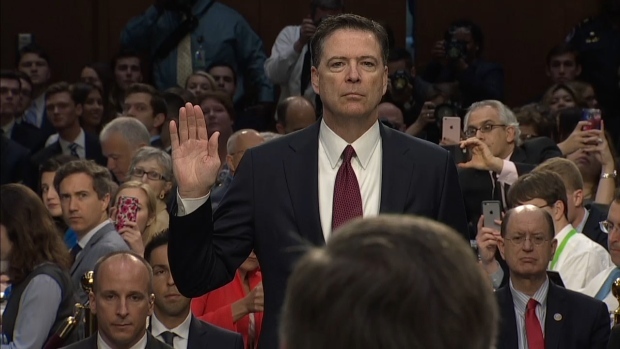 Former FBI Director James Comey appeared before the Senate intelligence committee to discuss his firing, his private conversations with President Donald Trump, the Russia investigation and more. Russian interference falls "squarely within the Judiciary Committee's jurisdiction," wrote Republican Sen. Chuck Grassley of Iowa and Sen. Dianne Feinstein of California. CORRECTION (Sept. 26, 1:19 p.m. ET): An earlier headline on this story misidentified which congressional committee Stone was appearing before. It was the House Intelligence Committee.